I had come in because I was having repeated bouts with atrial fibrillation, and while I had realized some time before that alcohol could be a trigger for a-fib, I had refused to admit that it might be the trigger. I did not and do not consider myself to be an alcoholic, but I certainly had become alcohol dependent. All I could think about, sitting with my doctor, was how much my life would have to change if I gave up my nightly “beer time.” But suddenly, I had a very concrete reason to abstain. Suddenly, it seemed like I was besieged by commercials promoting a-fib medication that reminded me that “a-fib is the leading cause of heart attack and stroke in men over 65.” Since I was two months away from turning 65, I felt like the ads were mocking me–rubbing salt in the wounds. I made it through two weeks and sure enough, my heart seemed to be settling down. 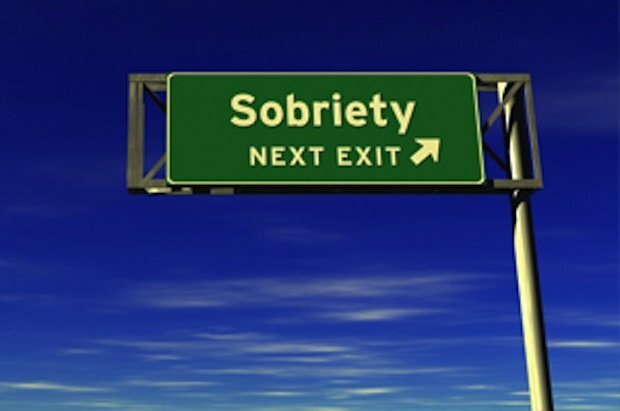 Two weeks became six and on December 20, 2017 I wrote a piece called Trying Out Sobriety reflecting on what I had learned after six weeks of abstinence. Today, makes it fifty-two weeks since I gave up alcohol. Last Monday, I was meeting with my addiction medicine therapist, a woman who has been an invaluable source of care, insight, and support throughout this process. She asked how I intended to celebrate one year of sobriety. I told her that I didn’t plan to do anything. Making a big deal about sticking it out for one year sounds like something an addict would do. “Celebrating” makes me think about rewarding myself with a 22-ounce Double-IPA, thank you very much. So, no celebrations don’t seemed called for. I did tell her I felt I needed to write about it. That means if you are reading this, you are celebrating with me, and thank you for coming (cue fireworks!). I don’t want to recount everything I wrote about last December. You can read about that here. However, one constant has been my therapist’s admonition that I needed to shift the focus of my thinking to concentrating not on what I had lost or given up, but rather on what I had gained. Some gains I have made are quantifiable, but we need to do the math. Let’s say that I used to drink 300 out of 365 days per year. That would mean I took roughly 65 days off per year due to illness, guilt, or hangover recovery. On the days I drank, I drank between 2 and 4 beers, so let’s call it an average of 3 beers a day. That means I consumed about 900 beers per year. At roughly 150 calories per beer, I can approximate that I saved 135,000 calories over the course of the year. Now, if I had eaten a lean diet and not replaced some of those calories by indulging in pastries and chocolates of all kinds, I’d probably be down to 75 pounds. However, I have lost a solid 10-12 pounds and the ever-growing beer gut has vanished. I never used to keep track of how much I was spending on beer between the six-packs I’d drink at home and the tabs I would pay at a bar. I really didn’t want to know. However, if a beer from a 6 pack ran 2-3 dollars and from a bar was 6-8 dollars, let’s just guess that my average cost per beer ended up being $4. That means I saved $3,600 over the past year. Best of all, I feel healthier and happier than anytime I can remember. Yes, I’ve struggled through some depressive periods over the past 12 months, but I revel in the changes I have made in my life. I go to bed every night knowing that I will not wake up with a hangover and the guilt that would come with it. I can almost always remember exactly what I said and did the night before, something that increasingly would elude me on drinking nights. I feel stronger as I’ve pushed myself into more challenging hikes around the county and trying to be on the trail two to three days a week. I practice yoga and meditation 5-6 days a week and marvel at how the importance of that practice has grown for me over time. There seems to be a part of my brain that was always thinking about drinking that gets to rest and dedicate itself to other things. Do I miss it? Yes–every day. I still feel jealous when I’m surrounded by drinkers at a bar or a restaurant, and I’m making may way through another bottle of Pellegrino. Back when I wrote the initial article, I was already hedging–assuming I would cheat occasionally. What could it hurt, right? But, it’s just been easier to stick to my new habit and continue to build on the gains I have made as a person. Nothing about alcohol ever helped me be stronger, smarter, or kinder. I think I’ve made some strides in those areas. I don’t want to give them up now. Thanks, Katie. I’m not sure how I missed this comment back in November. I really appreciate your feedback. I’ve done it so far. There are days…..